Fitness Over 50. It can be a struggle. Our bodies don’t move as they once did. It takes lots of work and discipline to keep those extra pounds from appearing and sometimes that feels like a losing battle. My friend, Kim Taylor, has been there. 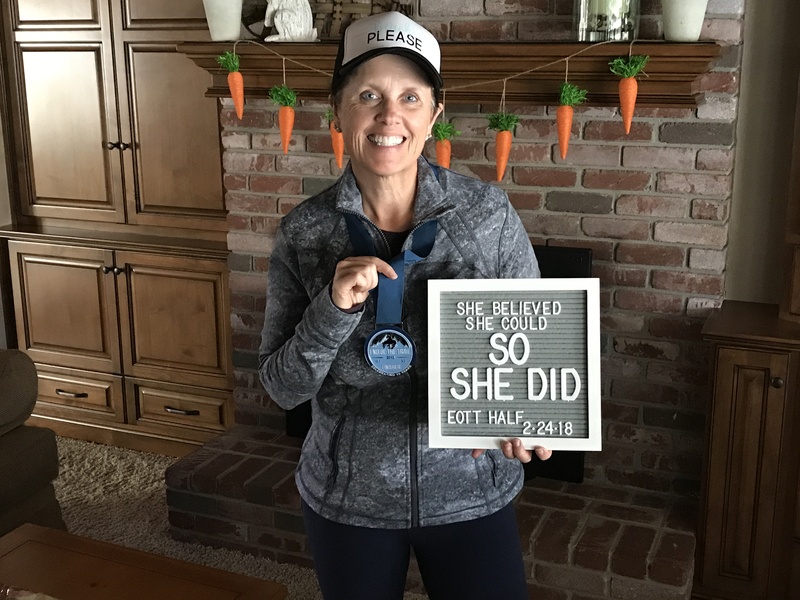 Here’s her Fitness Over 50 story and how she reached her goal of completing The Walking Half Marathon. This post contains affiliate links for your convenience. If you make a purchase through one of my links, I will receive a small commission at no extra cost to you. This post is not an endorsement of any weight loss or exercise program. It is meant for informational purposes only. Always check with your healthcare provider before embarking on a new diet or exercise program. Thirteen years ago, Kim Taylor had reached her Weight Watchers goal weight and life was good. She was healthy and thought that she was just where she was supposed to be. Mission accomplished. Done and done. Fast Forward to Christmas 2016. One gift she received was a lovely golf shirt – size XL. Size XL and it was TOO TIGHT! What happened? 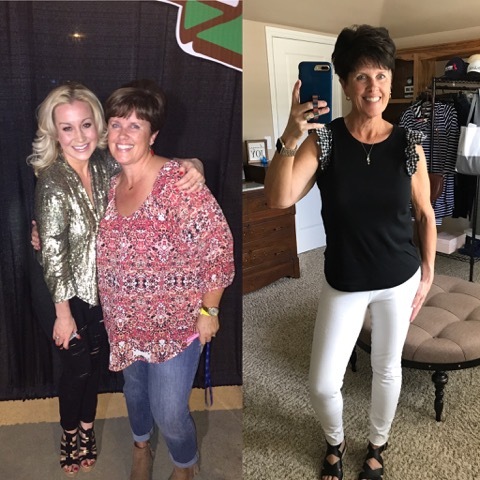 Well, like for many of us, life and everything that goes with it got in the way of Kim maintaining her good health habits and Kim had gained all of the weight back. She knew it was time to do something. So in January 2017, she joined Weight Watchers again and was committed to regaining her health and best weight. But this time was different. This time there was social media, specifically Instagram, where she found inspiration to stay the course and meet her goals, even on the hard days. In addition to her Weight Watchers eating plan, Kim added exercise – specifically walking. Using her Apple Watch, she tracked her steps every day, increasing them as time went by. 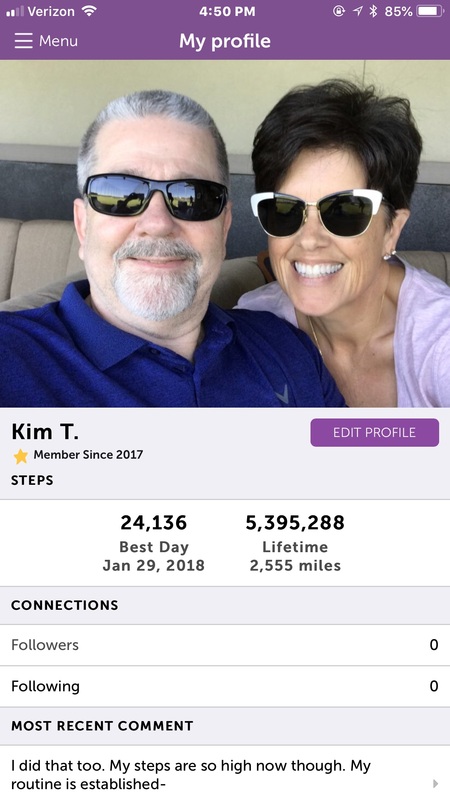 Kim soon discovered Stepbet – an online app that helps you to set a step goal, BET on yourself and if you get all your steps in, win a cash prize! Now that is motivation! Getting paid to exercise! Fitness Over 50 | How Does Stepbet Work? So as you can see, the motivation of the Stepbet game was a big catalyst in helping Kim increase her steps! 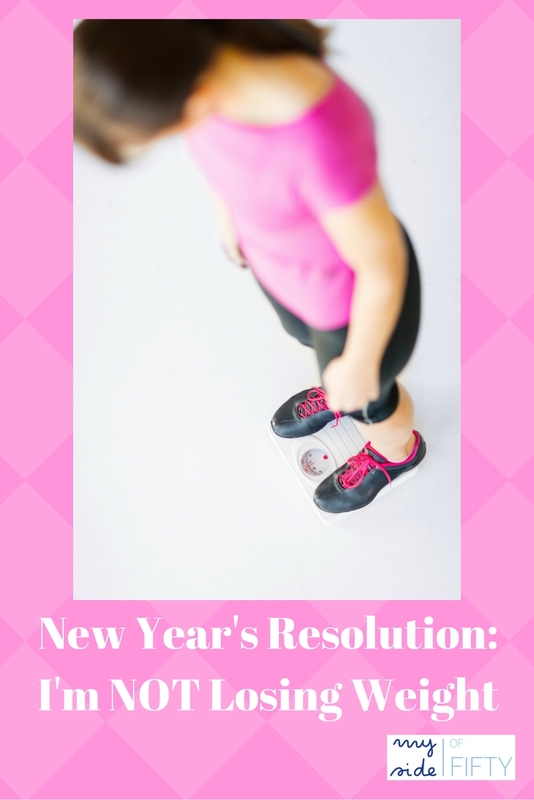 In January 2018, it was time to set a new goal. Kim saw an advertisement for a Walking Half Marathon the next month. She signed up, finished her current StepBet game and began a different training process, without StepBet. 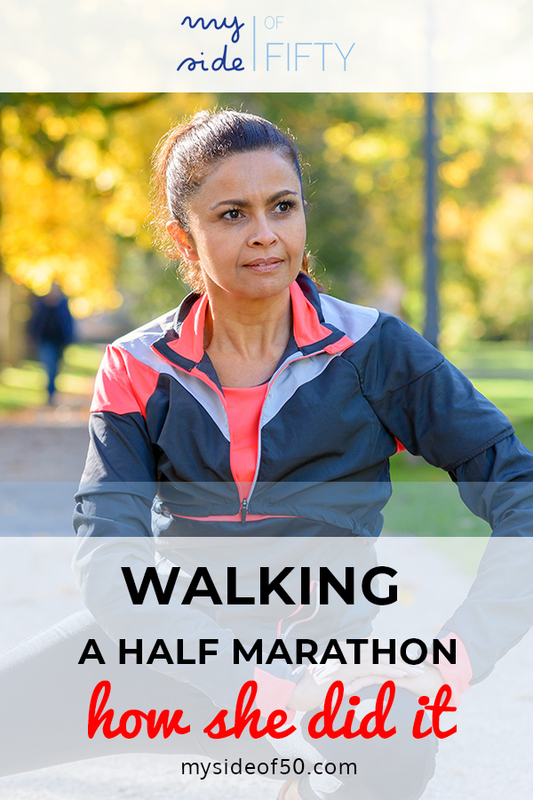 The Walking Half Marathon training involved taking longer walks at a faster pace. She did LONG walks on Monday – starting at 7 miles and increasing a mile or two each week. This got her to 13 miles on her long walk days two weeks prior to the marathon. Tuesdays – Day off from walking and took a class at the gym. Wednesday –Sunday – Walk between 5-8 miles per day for 4 of those days. 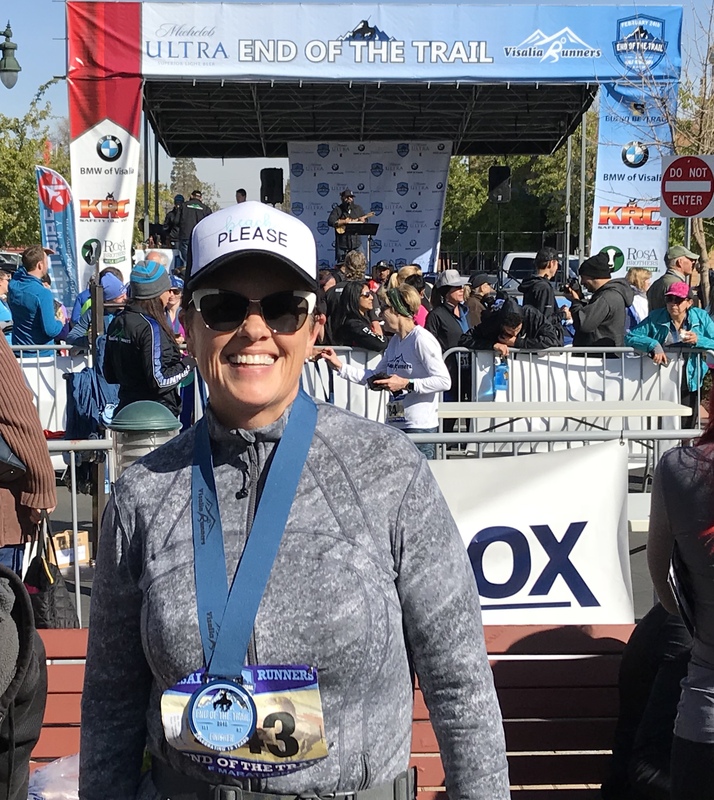 On February 24, 2018, Kim met her goal of completing a walking half marathon. 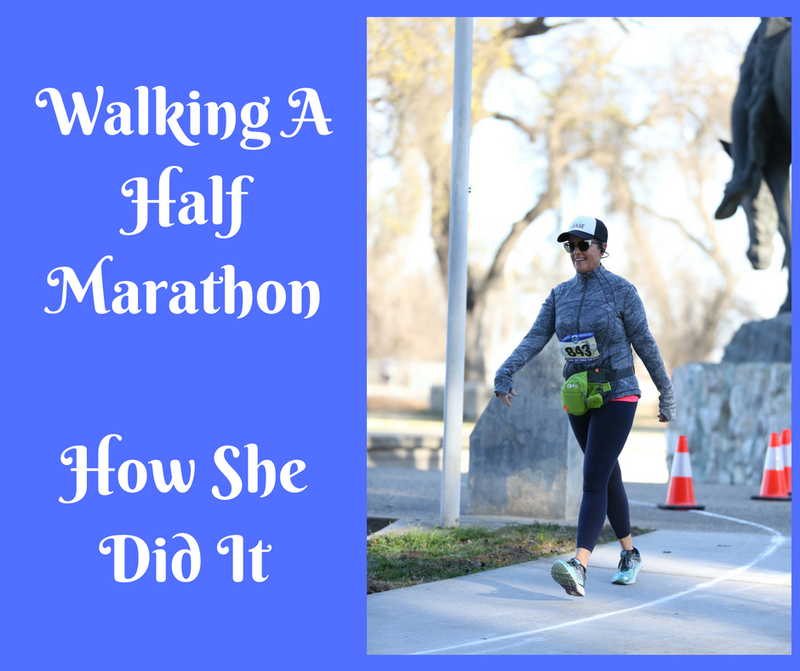 What was it like to meet your goal of Walking A Half Marathon? It was completely exhilarating! 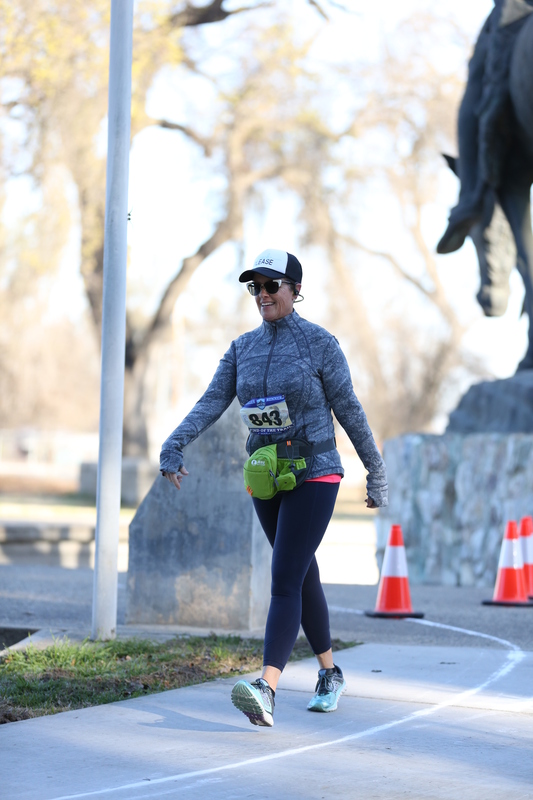 Crossing the finish line, seeing our best friends and my husband there filming me – taking pictures and cheering me on was like nothing I can even describe accurately. I was AWESOME and I am SO PROUD of myself! What health benefits have you gained through changing your eating habits and regular exercise? I have great blood pressure. My cardiovascular health is amazing and at my last stress test, my heart doctor could not believe what great shape I am in! What do you tell yourself on the days that you “blow it”? What would you tell others who might want to add walking to their exercise routine? Go get fitted for good shoes! I buy my sneakers at Soul 2 Sole and the employees are awesome! They were thrilled for me and my half marathon accomplishment. You will get blisters and you need to get pedicures to keep your toenails short. Nothing hurts worse than long toenails hitting against the end of your shoe. Listening to music while I walked wore thin for me. I started listening to podcasts and have progressed to AudioBooks! I love them! Don’t give up! I did not start out walking 6 miles per day. It takes time and effort and just don’t give up! Remember how Kim used Instagram to get inspiration from others to meet her goals? Well, she is on Instagram every day inspiring others to do the same. That’s where I “met” her and I am inspired and encouraged every day by her positive outlook and encouragement. Follow Kim here. The new school year has started and even though my kids have been out of school for many years, I still look at this time of year as one of new beginnings. A time to refocus on my goals and priorities – especially my health. And when I talk about health, I mean everything that embodies us – physical health, mental health and spiritual health. It’s a good time of year – coming off the summer travel and celebrations and prior to the holidays to do a total reset. A 30 Day Reset. A 30 Day Reset of my body mind and soul. I believe in The 30 Day Reset SO MUCH, that I became an affiliate for the program. That means if you purchase The 30 Day Reset, I’ll receive a commission at no extra cost to you. What is the 30 Day Reset? I should start with what it’s NOT! It is not a diet program. My goodness, when I started this I felt like I had been following some kind of DIET/Program/Food Rule list since my youngest child was born – 28 YEARS AGO!!!! It is a Nutrition + Movement + Mindset program that will help you focus on self-care and dropping the heaviness you feel – mind, body, and spirit. Sound kind of “Woo-Woo”? Yea, it did to me too. But Sally Twellman is the real deal. She is a Registered Dietician (which means anything she teaches about nutrition is backed by science and not the latest diet fad) and a certified life coach. Because let’s face it, if we are going to focus on our struggles with weight and health issues, we can’t just read a book or follow a bunch of food rules. We have to start with how we think about ourselves, our lifestyle and the things we’ve been telling ourselves about diet, nutrition, and exercise. 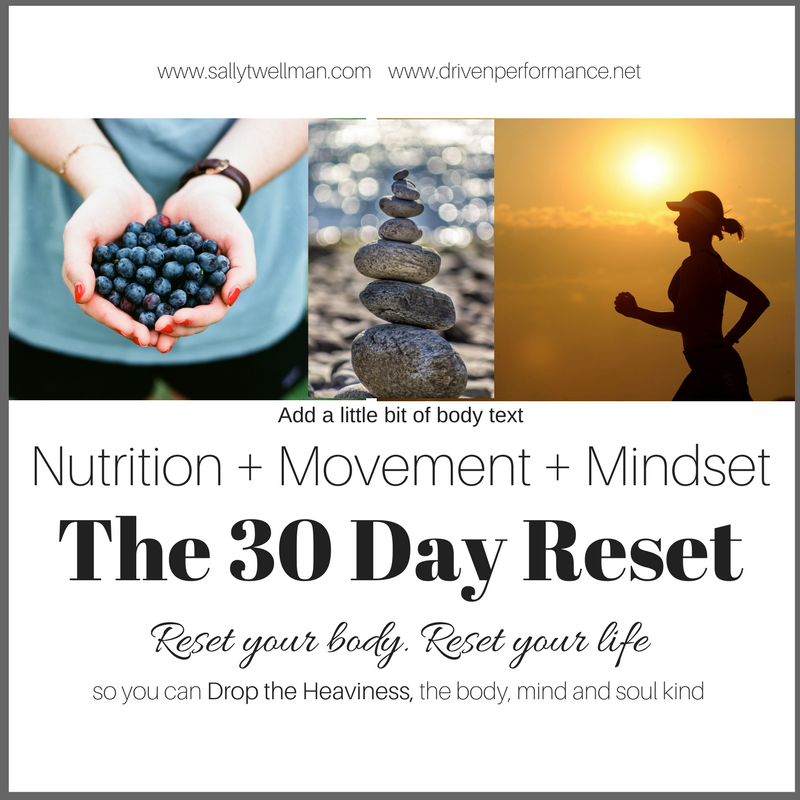 I did the 30 Day Reset last Spring and continued with one on one coaching from Sally to help me with some health issues. Frankly, I didn’t always like the body I saw in the mirror, but I was so over worrying about it to the point where I was willing to go on another diet. Why would I? My “28-year diet” had left me heavier than I had ever been! However, when I had routine blood-work done a few months ago and found that I was dangerously close to being pre-diabetic, that got my attention! I needed to do SOMETHING! I have lost 5 inches. I no longer struggle with binge eating or night eating which were 2 big things for me. I go out to eat more, order what I want (no more Chicken Caesar Salad for me!) and enjoy it. I cook food that I enjoy and leaves me feeling satisfied. I exercise because it FEELS GOOD – not because I’m trying to burn off the calories I consumed in that big piece of chocolate cake. I have learned to recognize stress in my life and find healthy ways to deal with it. In addition to nourishing my body with food, I’ve learned to pay attention to the things that nourish my mind and spirit and take the time to nourish myself in those areas EVERY DAY. I have learned to take care of myself and not to neglect my health, my spirit, my creativity and things I enjoy in order to care for others. Yes, I do care for my family. But I care for myself FIRST so I can fill up my own well. I am then able to care for others in a healthy, non-resentful way. How do you know if the 30 -day Reset is for you? Transform your body and your life from the inside out! + Daily Wellness Inspiration and Knowledge. Each day of the 30 Day Reset, you will receive new and life changing wellness wisdom, to help you create massive shifts in all aspects of your body and your life. Remember this isn’t a diet program, this is the start of your whole life transformation –> the body, mind and soul kind! Meditation guide for beginners + guided meditations to get you started on your journey to total enlightenment. Super love and support from your coaches and a new group of like-minded friends who are focused on personal growth and transforming their lives! Weekly Live group coaching calls. I will dive deeper into the daily topics & answer your burning Reset questions! Life-Time access to this awesome transformative group, where you can join the party every time I start a new 30 Day Reset session. The one-on-one coaching REALLY helped me move forward into transforming my health and mindset! Exclusive discount for future 1:1 Coaching packages following the 30 Day Reset. Are you ready to drop the heaviness and transform into who you want to become? Register today for the 30 Day Reset! Weight loss and journaling. 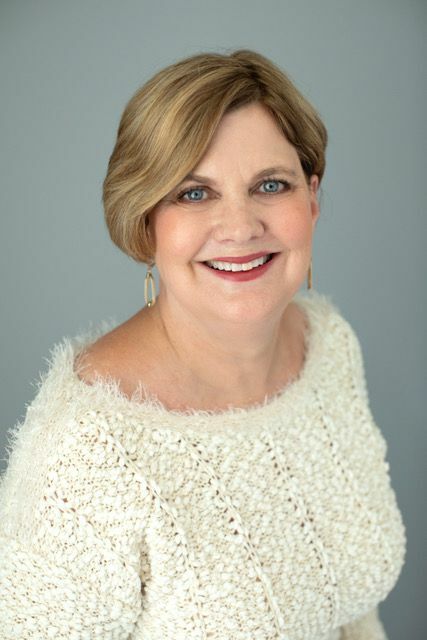 How are they connected?Today’s guest post is by Shellie Bowdoin, the blogger behind The FABulous Journey. Shellie has been featured in several of my fashion posts. By looking at her, you would never imagine that she has struggled with her weight. Disclosure: This post contains affiliate links. If you purchase a product through my link, I will receive a small commission. Another holiday season has come and gone. Now, it’s time to face the inevitable reality…one you knew was coming, but refused to acknowledge until after the New Year. After all, it is a foregone conclusion that you’ve dealt with over and over again every January. Yikes…the frustration of weight is just so, well frustrating. I have faced my share of frustration over weight and my inability to control it. In fact, as far back as I can remember, weight has been part of my story. By the time I reached the age of eleven, I was chubby when the rest of my friends were thin. I finally grew out of my chubby stage as a senior in high school. Then, I enjoyed my “weightless” season through my college years and early twenties. However, the weight struggle caught up with me again by my mid-twenties. The next two decades were marked by the up and down emotional journey of yo-yo dieting. Each new diet attempt would result in a few dropped dress sizes and a feeling of accomplishment. However, my weight would eventually creep up again and I would find myself right back in the same familiar place. Two years ago, I finally uncovered a way to break the weight-loss/weight gain cycle. Instead of focusing on the symptom of weight, I decided to explore my thoughts, assumptions and expectations about food through journaling. I decided to record my thoughts along the way through journaling. I wrote about my frustrations and small victories. I noted when I felt the hungriest and I paid special attention to the foods that were the most difficult to resist. Most importantly, I recorded my self-talk; the internal dialogue that bounced around in my head when I was faced with temptation. Quite frankly, I’ve never been much of a journal writer. But, I was so tired of feeling out of control in my relationship with food. In this instance, journaling made sense, because I often work through situations and struggles by talking them out. 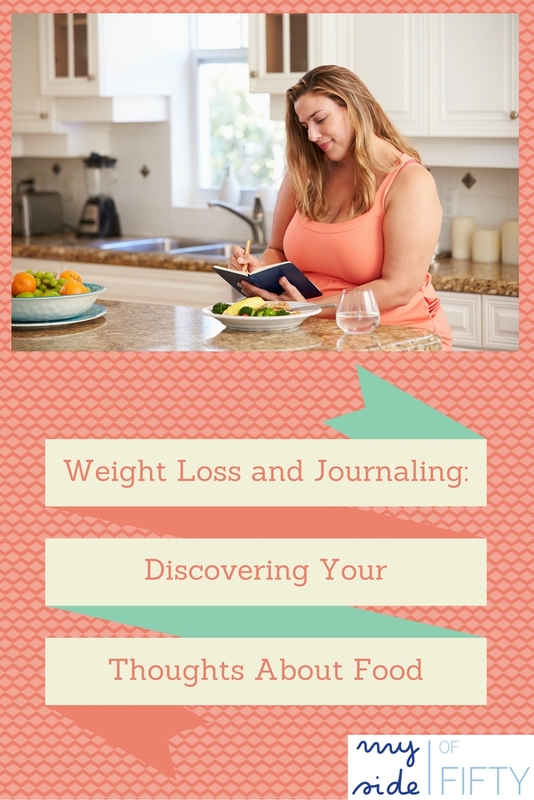 Journaling allowed me to honestly evaluate my feelings on a daily basis by drawing connections between my thoughts before, during and after I ate with my actual eating habits in a given day. Somewhere along the way a light dawned…I was just acting out what I believed about food. Once I uncovered those situations where I felt helpless, I could then develop new habits to become more mindful about the foods I ate in those situations. I finally felt like I was in control for the first time in my adult life. After I completed my journey, I wanted to share my experience with others, so they too could find freedom over food. I started writing fitness posts on my blog, The FABulous Journey. Eventually, I decided it would be easier if I compiled everything into one book to walk others through their own journey; one step at a time. 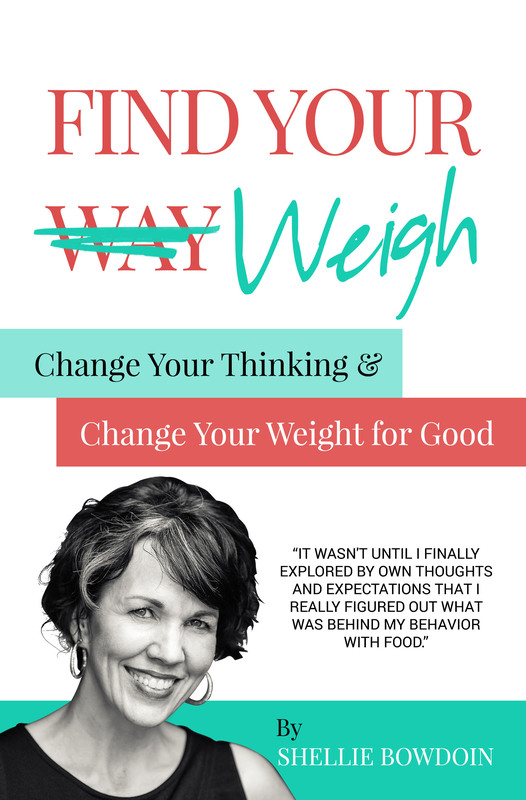 My new book, Find Your Weigh, walks readers through the same process I did to figure out what makes them tick with food. There is no restrictive diet or calorie counting; instead, you’ll figure out ways to make mindful decisions and develop workable habits to eat the foods you enjoy in a balanced way. From Cathy: I read Find Your Weigh from cover to cover and found it practical and helpful. What I liked the best was the 50-day interactive journal that included Shellie’s own reflections during her weight loss journey. If you are looking for a new way to think about weight loss and your relationship with food, I highly recommend Find Your Weigh. Do you know CPR? 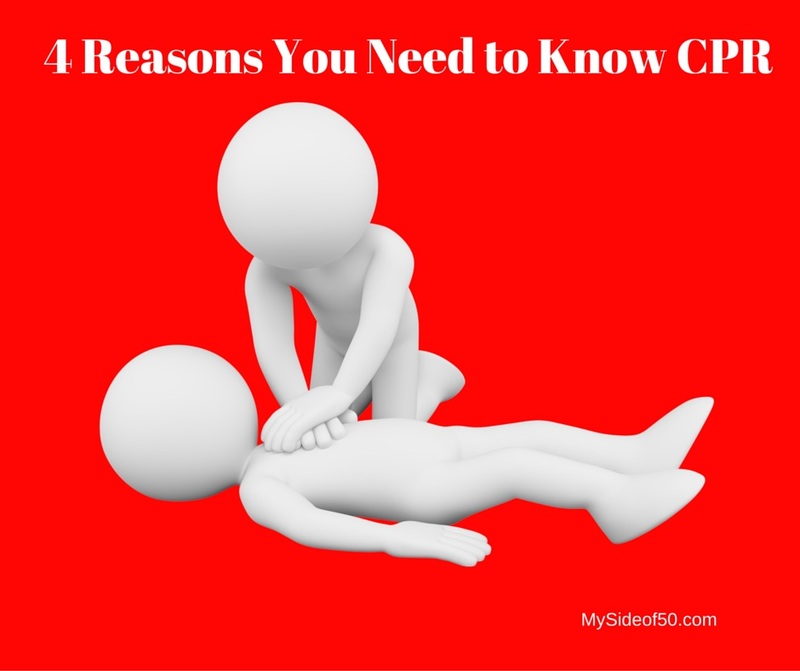 Have you ever had to perform CPR on someone? Have you taken a class a long time ago, but need a refresher? I took a CPR course many years ago, and “back in the day” we were trained to use a combination of breaths and chest compressions. 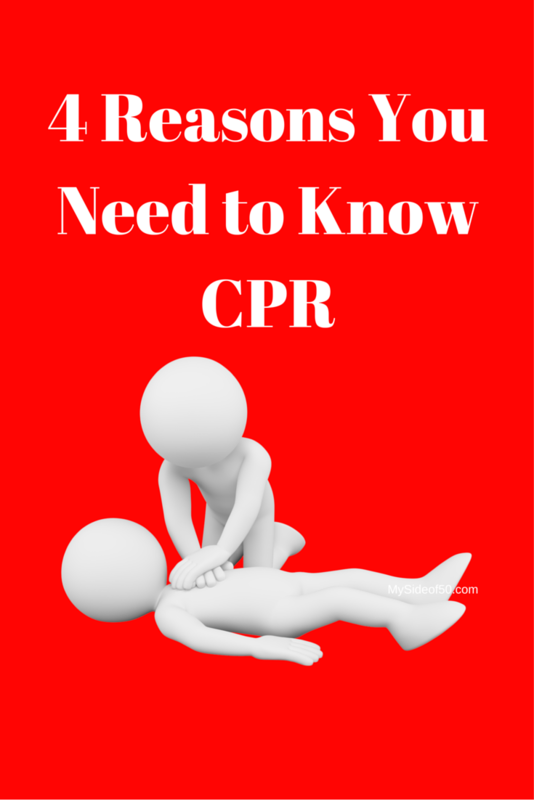 The AHA has done extensive research and found that in adults, hands only CPR (chest compressions only), performed at the rate of 100 chest compressions per minute is just as effective. If you want to know how to measure 100 compressions per minute, just compress to the beat of the Bee Gee’s “Stayin’ Alive”. One of the highlights of the luncheon for me was getting some hands-on training in from members of our local fire department. They had dummies on which to practice that showed how hard you actually need to press when doing chest compressions. They said if you break a rib during chest compressions, that is a good thing! That means you are pressing hard enough. Who knew? Chances are, if you are called on to perform CPR, you’ll be doing it on someone you love – a spouse, child, parent or friend. For every minute a person is “down” without getting CPR, their chances of survival DECREASE by 7-10%. That’s why it is important to know what to do and to do it quickly. If immediately starting CPR would increase a person’s chance of survival and it is something I can learn to do, why wouldn’t I do it? Find a training near you. A few weeks ago, I had my annual mammogram. The report came back saying that everything was fine. But at the bottom of the report, it said that a breast ultrasound in 2012 revealed some abnormalities in my right breast and that there had been no follow-up. I remembered that ultrasound in 2012. I have dense breasts. The mammogram showed “something”, so I had an ultrasound. The results of that ultrasound were inconclusive, but the radiologist assured me that she didn’t think it “was anything” and asked me to follow up in 6 months. I did – same result. So, I didn’t think anything more about it. That is, until I read that one sentence at the bottom of my mammogram report that said “abnormality – no follow up since 2012”. 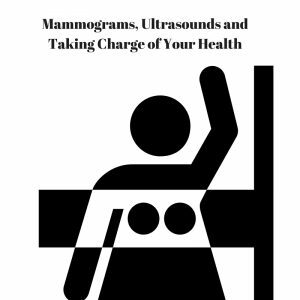 How many times have you heard of a mammogram being normal, but cancer being detected in an ultrasound? My gut told me that I needed to follow up. So I called my doctor and requested an order for a follow-up ultrasound. I went to my ultrasound appointment last week. As I was waiting, I received a call from the nurse in my doctor’s office. She told me that the hospital was requesting a diagnostic mammogram and that my doctor would not provide the order. That was fine with me – I had just had a mammogram and didn’t need another. However, I was stunned by the next words out her mouth – “You know, we really weren’t supposed to provide an order for the ultrasound because you didn’t come for your annual exam last year”. Are you kidding me? Here I am, trying to be pro-active about my own health and my doctor is giving me a hard time about missing one annual exam. I have been her patient for OVER 30 YEARS and have rarely missed an annual exam. I expressed this to the nurse and assured her I would be making an appointment soon. But it was up to me to convince the staff at the Breast Center to give me the ultrasound. I talked with the Breast Center staff, showed them my report and they talked to the radiologist who eventually agreed to do the ultrasound. But what if she HADN’T agreed? What if I hadn’t pushed to get it? WHY did I have to PUSH to get it? Why were there so many hoops to jump through just to get a breast ultrasound? • Read the reports for medical tests that you have. I’m glad I read past the “mammogram is OK” part, so I could see that I needed to follow up with an ultrasound. • When you have a medical test, do not depend on your doctor to tell you everything you might want to know. My doctor never called to suggest an ultrasound. If I hadn’t read the report and followed up myself, it would have never happened. • Don’t hesitate to be firm and insistent when it comes to your health. I am pleased to report that the ultrasound only showed some benign cysts, so I am just fine. It was also recommended that since my breasts are dense, that I opt for the 3D mammogram next year, which will save me having to have an ultrasound. My insurance does not cover the 3D mammogram, but I was told that it was only $50 more to have it, so I will gladly pay that out of pocket. Have you ever had trouble getting a diagnostic test that you felt like you needed? Is there a test that you need that you haven’t followed up on? An appointment for a check-up that you need to make? We only have one body. Take care of it. Make that appointment today! 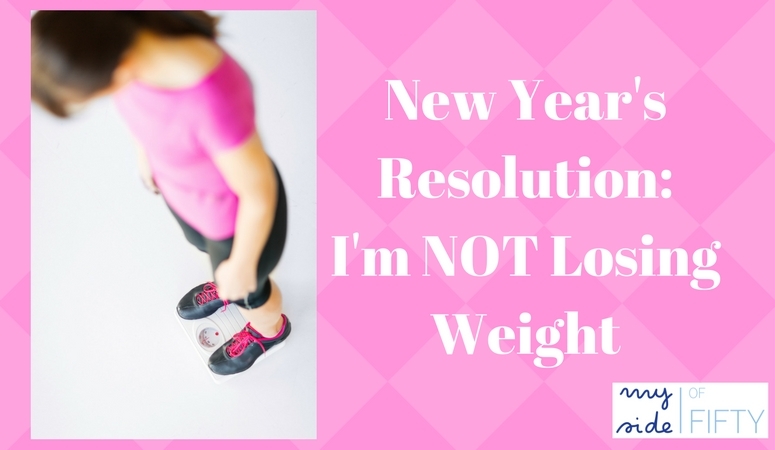 New Year’s Resolution: I’m NOT Losing Weight! What? Why aren’t you losing weight? I lost both of my parents in 2015. In September of that year, when we were planning my Dad’s funeral, I went to my closet to find an appropriate outfit to wear. NOTHING FIT. You see, all summer, while caring for my Dad, I had been wearing some very forgiving Ann Taylor shorts as my “go to the hospital uniform”. These were not appropriate for a funeral! Through the stress of that year, I gained 15 pounds. Hospital visits where I chain-ate chocolate like some people chain-smoke cigarettes, twice daily stops at Starbucks for coffee and a treat to keep me going, eating out and just not paying attention, had resulted in this weight gain. After the funeral, I immersed myself in self-care. Part of taking care of myself was making an appointment with Sally Twellman, who is a Life Coach and Nutritionist, to see what I could do to get this “weight issue” under control! Losing Weight – What Would Change? 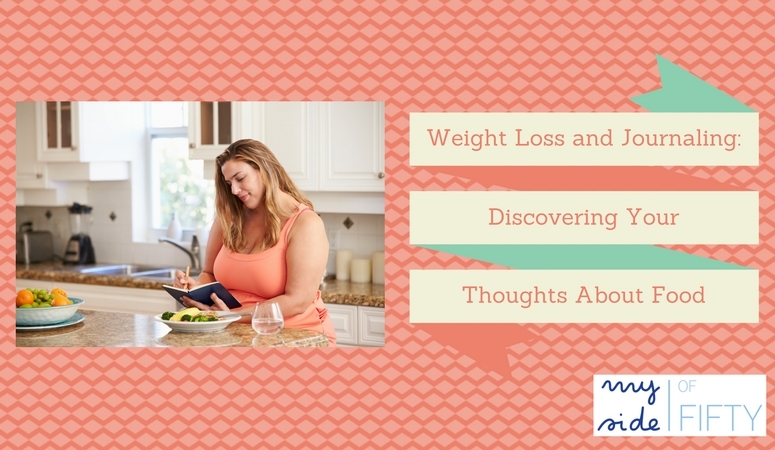 One of the first things Sally asked me was “How would your life change if you lost weight?” All I could really tell her was that it might be easier to go shopping for clothes and to find clothes that look good. Other than that, I couldn’t think of one thing that would change. I would still be me – wife, mother, grandmother, friend. I would have the same gifts and talents. I would still be loved by God, my friends and family. Losing weight would not really change anything that is all that important to me. Nevertheless, I wanted A PLAN. The magic bullet, the eating list, the calorie count that THIS TIME would work. So, she gave me one. Sally gave me a number of calories to eat per day and a list of foods to avoid. Information, which after all the years of diet plans, books, Weight Watchers, low carb, low fat, Paleo and Whole 30 I already knew and really didn’t need to pay someone to tell me. THE PLAN lasted about 2 days and I quit. When I met with Sally again, she said knew this would happen but also knew I needed to figure that out for myself. Then she had a novel idea. She asked me, “What if you ate in a way that nourished your body that came from a place of self-love and care instead of hating your body and what you look like?” I know what to eat to take care of myself and what makes me feel good. Fresh food. Staying away from processed food and a lot of sugar. Eating when I am hungry and stopping when I’m full. When I do those things, I feel good. I feel nourished. I feel happy. “It does not change who you are one bit. Not your character, personality, love for others, how your friends and family feel about you, your ability to serve others…not one darn thing. And besides there is not one person in this world (that matters anyway) who is looking at your fat, evaluating your fat, hating your fat, spending precious time and money trying to get rid of your fat but YOU. So let it go”. By my calculations, I had been focusing on weight and fat in some form or fashion since my youngest child was born – 28 YEARS AGO. That’s a long time. And I weigh more than I ever have. I am 58 years old. If I live as long as my Mom did and die at 82, I have 24 more years left. Do I want to spend the next 24 years obsessing over weight and fat like I have the last 28? Heck no. So this year marks a new beginning. A place where I love myself where I am now. Where I take care of myself by eating food that nourishes me, exercising because it feels good and I enjoy it, resting when I am tired, and saying no to things that I don’t really want to do. Being happy. Not stressing over “good and bad food” or turning down invitations to go out to eat with friends because I might not be “allowed” to eat the food that is on the menu. No more diets, food plans or challenges. No more discussing how fat I am or the latest diet or “I just have to get this weight off” with my friends. My goodness, what a boring topic. Are you all as sick of this as I am? For me, the new year is the year of self-love and self-care. Of being kind to myself. Because I know that out of that, care and love for others will flow. And that is what is important to me. How do you practice self-love and care? How can you be more kind to yourself?